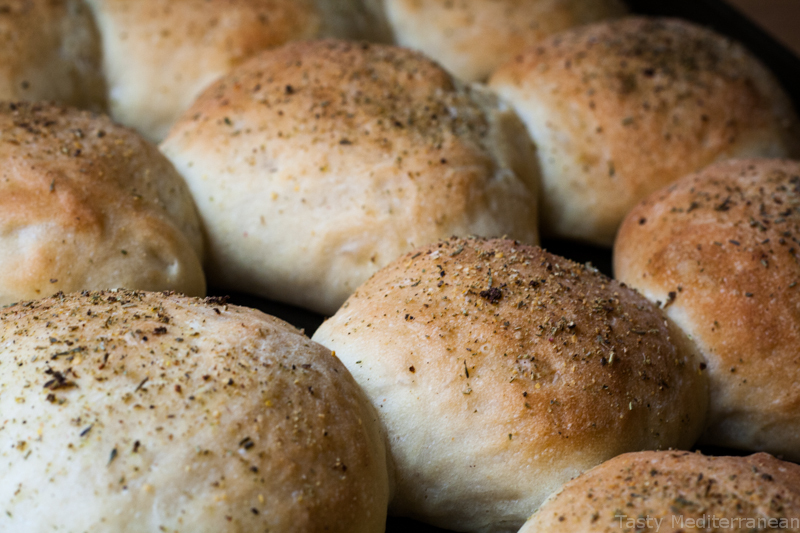 So on this warm, autumnal Sunday I got the craving for some home made, soft rolls and I thought... Why not share the recipe? seeds, rock salt, salt and pepper, dried rosemary, thyme, oregano, parsley, basil... Really anything. I went with Italian seasoning blend. - In a bowl, add the yeast, sugar and warm water. Let it sit for about 5min or until bubbles start to form. - Put the dough in a greased bowl, cover it with a kitchen towel and put it aside for 1h so it can double in size. - Then lay it on a lightly floured surface, punch the air out and divide it into 12 equal pieces. Form them into balls and put them on a lightly greased baking sheet, leaving about an inch in between. - Lightly cover the rolls with greased cling film and let them rise for 45min. Brush them with olive oil and sprinkle your topping of choice (this step is optional). - Preheat the oven to 200 C degrees. Bake for 12-14 min or until golden brown. Enjoy!